Visual Studio Code>Programming Languages>Polymer SyntaxNew to Visual Studio Code? Get it now. 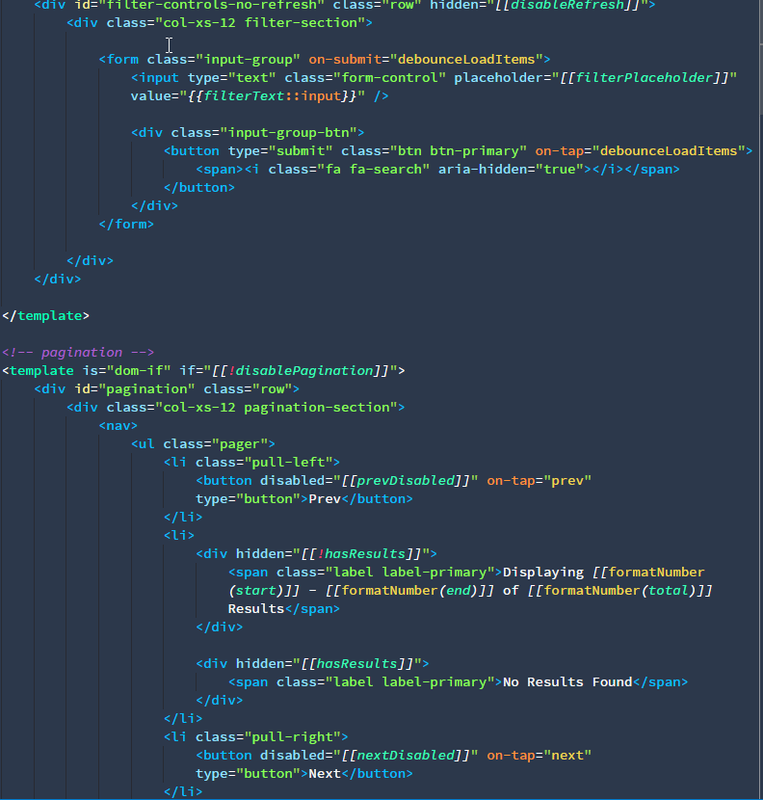 Polymer syntax highlighting for VS Code! A syntax theme to be used with language-polymer to give the best visual experience when working with Polymer or even Web Components in general. To Enable: You have to tell VS Code to associate the Polymer grammar with .html files either by the grammar selector in the bottom right corner of the editor or via the settings (language name is polymer). Originally converted from the Ember HTMLBars package. Then rewritten using the Language-HTML package. This theme was based on the theme "Made of Code" by Brian Yu. Almost everything is the same except for some additional selectors to correctly style the polymer binding related syntax. Contributions are greatly appreciated. Please fork this repository and open a pull request make grammar tweaks, etc.